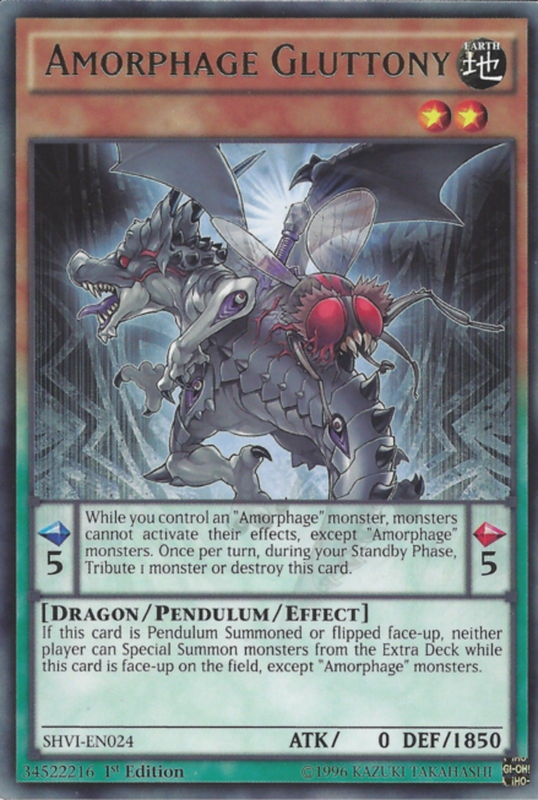 What Are the Amorphage Monsters in Yu-Gi-Oh? A tricky bunch of earth-attributed dragon-type monsters, the Amorphage archetype consists of several infected animals transforming into their Amorphage forms. These viral monsters form some of the best lockdown strategies in the game, as their pendulum scale effects let them shut down a variety of card types, limiting your opponent's ability to counter your plays. That said, many Amorphage cards demand a blood sacrifice, requiring you to tribute or destroy your own units to maintain their lethal abilities. To keep your powers active, you'll want to include members designed to fuel your reptiles' abilities, but with dozens of supports available, which options reign supreme? 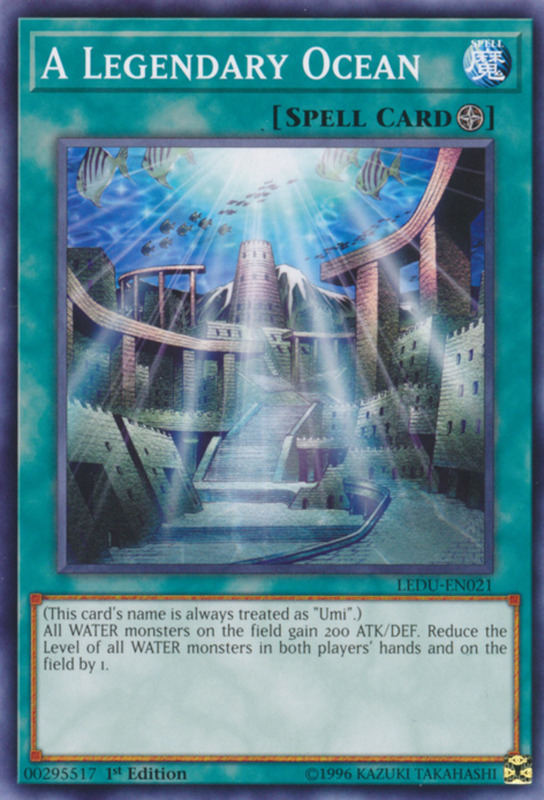 These are ten cards you'll definitely want in your Amorphage Yu-Gi-Oh deck! The boss monster of the Amorphage clan, Goliath wields a mighty 2750 ATK, but beware his 0 DEF. With a pendulum scale of five, he banishes non-Amorphage cards that would be sent to the graveyard as long as you control an Amorphage monster, denying your opponent their graveyard recoveries. However, as typical of his kin, during your standby phase, you'll either have to tribute a monster or destroy Goliath. 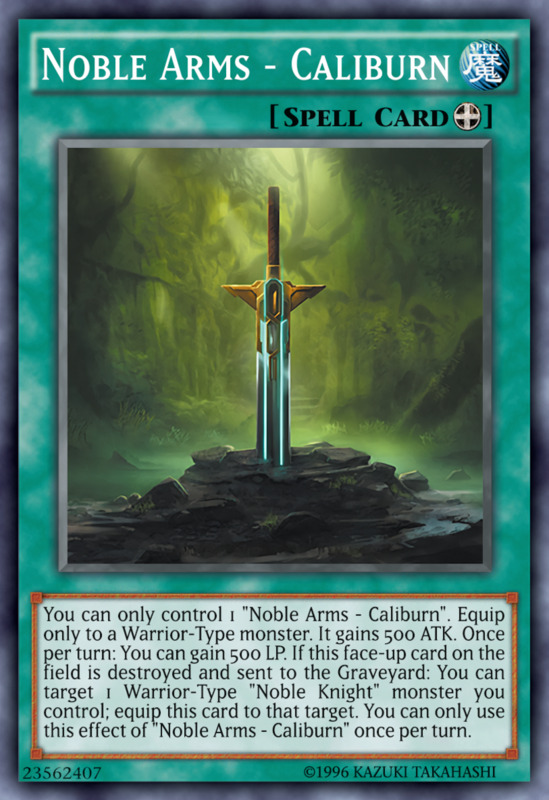 Thankfully, this doesn't apply while he's serving as a monster, in which case Goliath prevents both players from special summoning non-Amorphage creatures from the extra deck, a huge lockdown for your foe. Goliath's biggest weakness is its high level of 8, which falls outside the 3-5 scales of the Amorphage series, who can really only pendulum summon level four units; you'll need to either tribute summon him with two sacrifices or substitute higher scales into your deck. 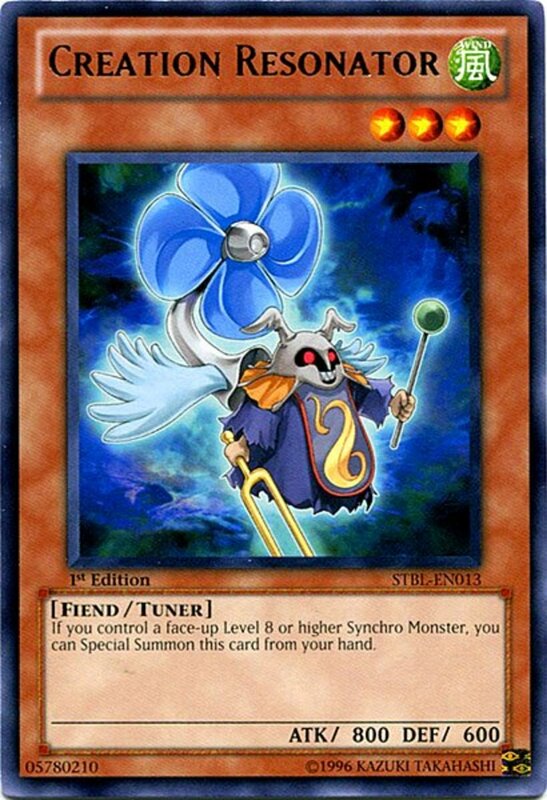 Like all traps, you can't activate Lysis the turn you set it, but it rewards the wait with two ongoing abilities. The first decreases the ATK and DEF of all non-Amorphage monsters by 100 for each Amorphage unit on the field. Note that this tallies all Amorphage cards, including itself and other appropriate spells and traps! If you're keeping your field stocked, this can easily lower the battle stats of enemies by 500 or more. 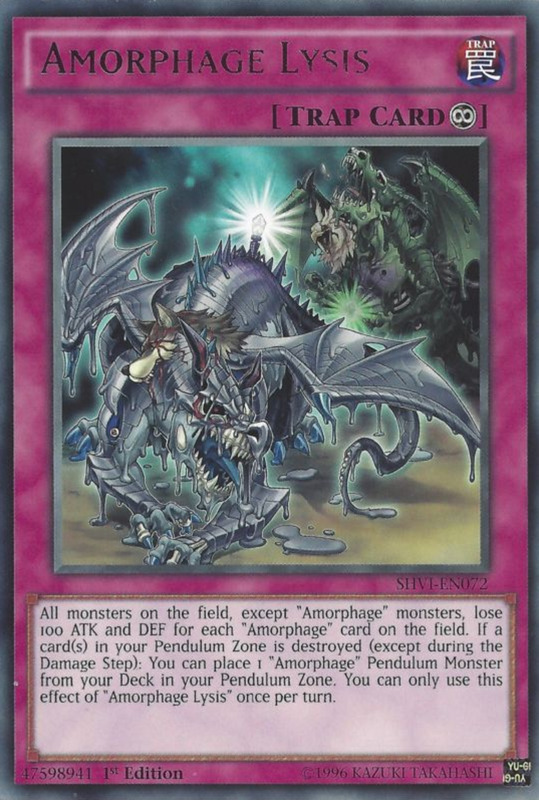 Plus, if a card in your pendulum zone is destroyed, you can (once per turn) place an Amorphage from your deck into that zone, instantly replacing your lost scale. Note the helpful wording of this ability; not only does it activate when your Amorphages destroy themselves, it also applies when your opponent hits you with a Twin Twisters or the like, and it can even trigger with non-Amorphage scales! 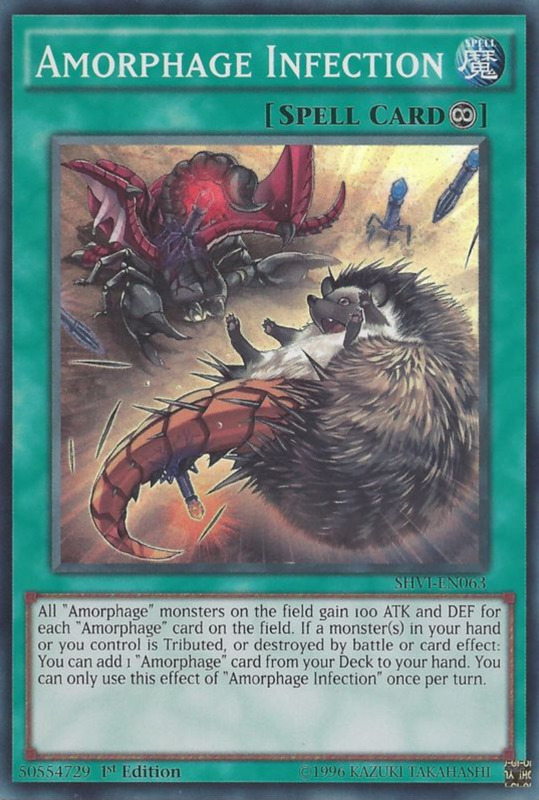 Finally, remember that since Lysis bears the Amorphage name, not only does it strengthen its own ATK-dampening effect, it ignores the lockdown of "Amorphage Greed", remaining active even if you disable trap cards. Like most of the Amorphages, Lechery derives its name from one of the seven deadly sins. In the pendulum zone, it also offers a scale of five, and like its fellow dragons, it forces you to either destroy itself or tribute a monster during your standby phase. However, to reward you for the trouble, Lechery prevents both players from activating non-Amorphage spell cards, a ruthless block that can really detriment your foe while leaving you with a strong assortment of Amorphage magic cards. Like Goliath, Lechery's monster level of two falls outside the pendulum-summoning range of the Amorphages, this time on the lower end, meaning you can still normal summon or set him without tributes. That said, Lechery only brandishes a lukewarm 1350 ATK; he's most useful as either fodder for a Goliath tribute or in the pendulum zone with his fierce effect. Remember, with Lechery in the pendulum zone, you won't be able to activate non-Amorphage spells likes Ties of the Brethren. Not only that, but Brethren will sap you of 2000 life points, prevent you from special summoning for the rest of the turn, and disable your battle phase for that turn! 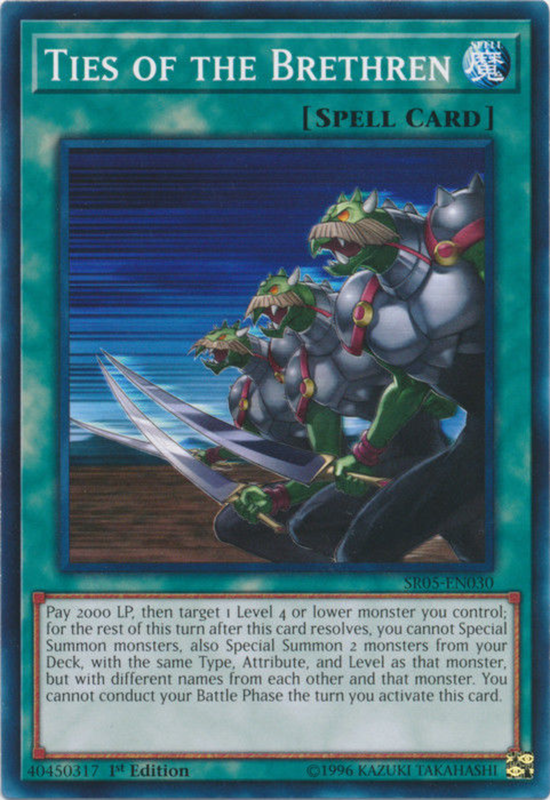 However, it lets you select a level 4 or lower monster, then special summon two monsters from your deck with the same type, attribute, and level, but different names (from both each other and the original target). I know it's a hefty price to pay, but this really helps you fill your field with extra Amorphages, letting you craft an early Goliath lockdown or other trick. If you're running three Lechery copies, you might want to pass on Brethren since it's more likely to get disabled, but less-lustful players can use Brethren to rapidly hasten their strategy. Yet another five-scale Amorphage unit, Gluttony offers yet another formidable field-dampening, this time preventing non-Amorphage monsters from activating their effects. Your extra deck and possibly main deck will likely contain some non-Amorphages, so consider that when deck-building with Gluttony, but this awesome net that drastically weakens your foe's units. Best employed as a scale, Gluttony isn't quite so useful as a monster; his level of two falls outside your level 4 summoning capabilities. Now, you can still normal summon or set him, but with 0 ATK, he's only really needed as a weak defender (bearing 1850 DEF) or extra deck/tribute material. Many Amorphages fall just short of battle dominance; Goliath's 2950 ATK is just below the 3000 of several ace monsters and lower-level Amorphages often fall short of 2000. Thankfully, you can buff them beyond their enemies with cards like Lysis or Infection, a continuous spell that boosts the ATK and DEF of all Amorphage monsters by 100 for every Amorphage card on the field! Of course, this includes Infection itself, and the name also helpfully avoids Lechery's spell-countering. 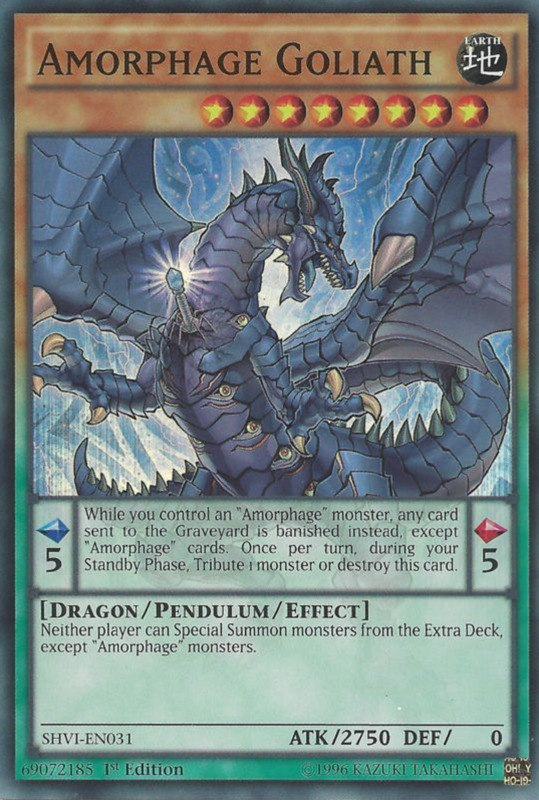 In addition, once per turn when a monster in your hand or field is either tributed destroyed by battle, or destroyed by card effect, you can add an Amorphage card from your deck to your hand. This amazing supply activates with three different types of removals and from two game zones, providing one of the best search engines in the game. Remember, the pendulum zone Amorphages will consistently be tributing your creatures, so if your opponent isn't kind enough to annihilate your units and trigger Infection, your own cards will do the job for you. Finally, we reach a scale three Amorphage, which can special summon multiple level four members when used in tangent with one of the previous scale fives. In addition to its swarming assistance, Wrath prevents both players from tributing summoning monsters other than Amorphage cards. Your main deck is unlikely to include many high-level non-Amorphage monsters, avoiding the ban, while your opponent will find themself deprived of their strongest main deck cards, especially when running archetypes like Monarch or Qliphort. Between your two pendulum scales and continuous spells/traps like Lysis and Infection, you'll quickly run low on spell/trap zones. 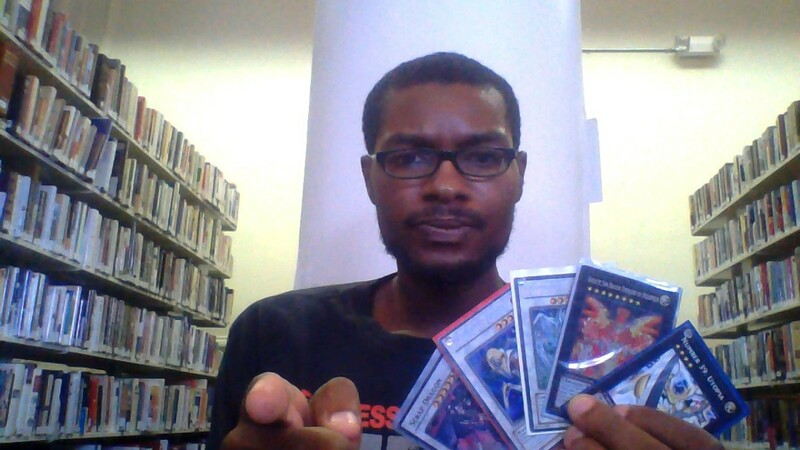 Thankfully, Persona counts as a field spell, heading to its own unique slot and leaving more room for other tricks. Persona increases the ATK/DEF of all Amorphage monsters by 300, and lets you you draw a card (up to twice per turn) when an Amorphage monster you control is tributed. 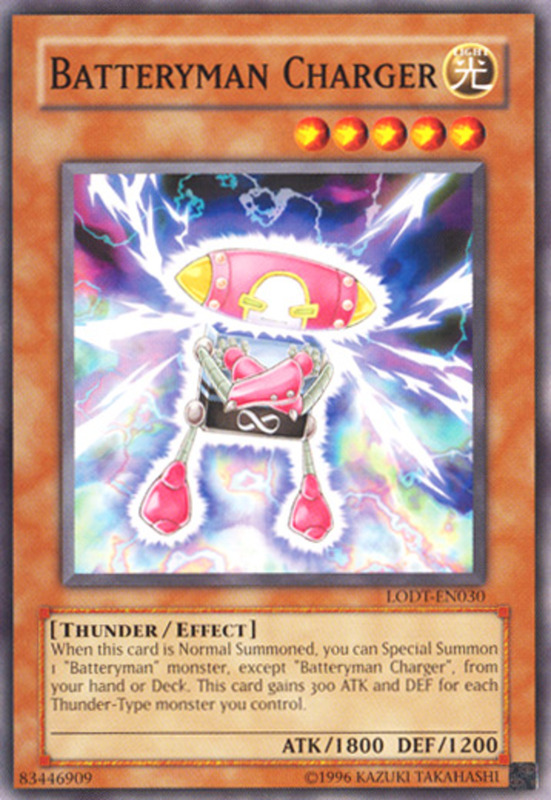 As if the added strength and draws weren't enough, you can banish Persona from your graveyard and tribute pendulum monsters from your hand or field whose total levels equal eight (a single Goliath does the trick) to ritual summon Amorphactor Pain from your hand, who we'll soon see can easily turn the tide of the match. Scapegoat's a great defensive card for any deck, but especially buffs the Amorphage warriors. As a quick-play spell, you can employ it at instant speed, allowing you to bait your opponent by setting it, then activating it in response to a removal, effectively wasting their efforts. 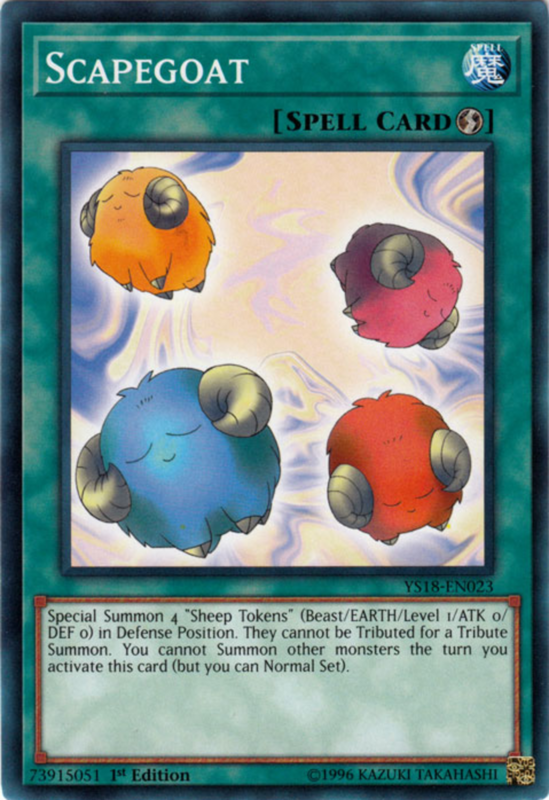 Using Scapegoat prevents you from summoning other monsters in that turn, but you can still set, and you'll likely trigger it on your foe's move anyway. 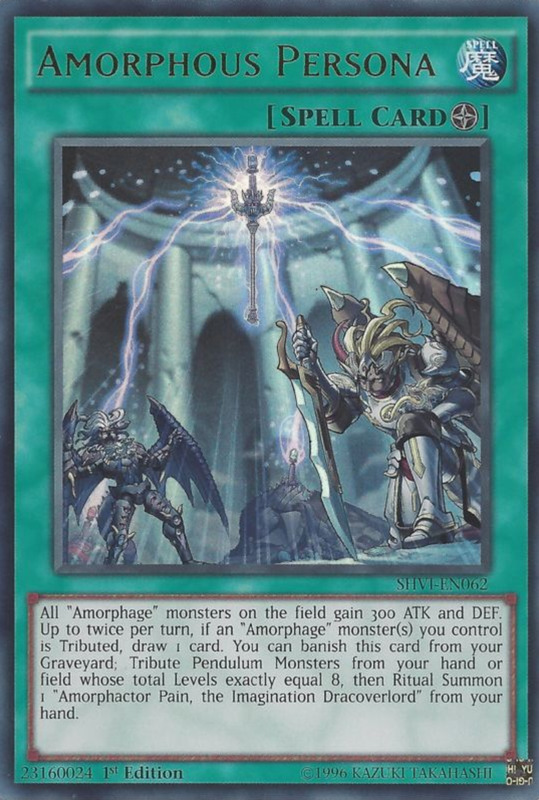 Not only an awesome force for the Amorphage team but one of the best ritual monsters in the game, Amorphactor Pain brandishes a fierce 2950 ATK, and when ritual summoned, your opponent skips their next main phase 1! This brutal shutdown makes them wait until their turn's second main phase (after their chance to attack) before summoning new monsters or playing most spells. Additionally, Pain negates the effects of all face-up fusion, synchro, and xyz monsters, further dampening your foe's arsenal (and yours if you're not careful). 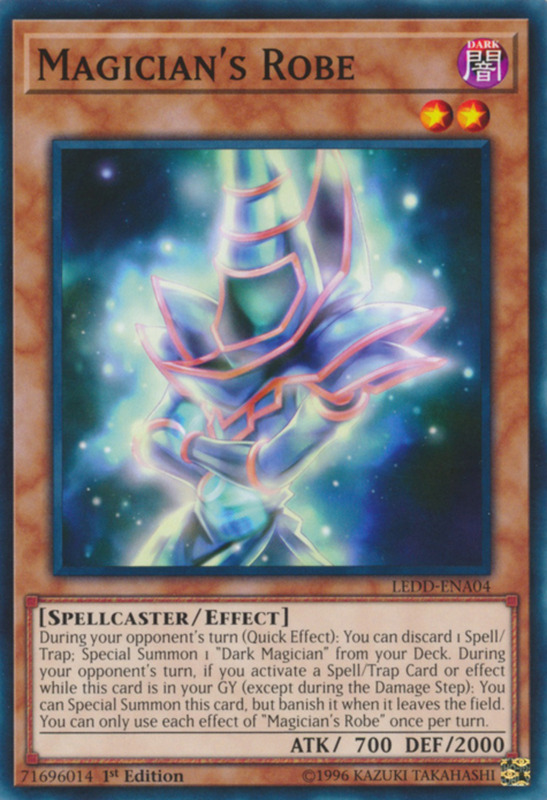 Finally, even if he's defeated and sent to the graveyard, he'll let you add a Dracoverlord (other than another copy of himself) from your deck to your hand, a superb exit effect. Even though he's not technically an Amorphage, Pain offers incredible powers without the typical drawbacks of his kin, and he's served me well in multiple pendulum decks. As powerful as he is, Pain is currently an incredible bargain, costing around fifty cents, so snag your own while he's cheap! 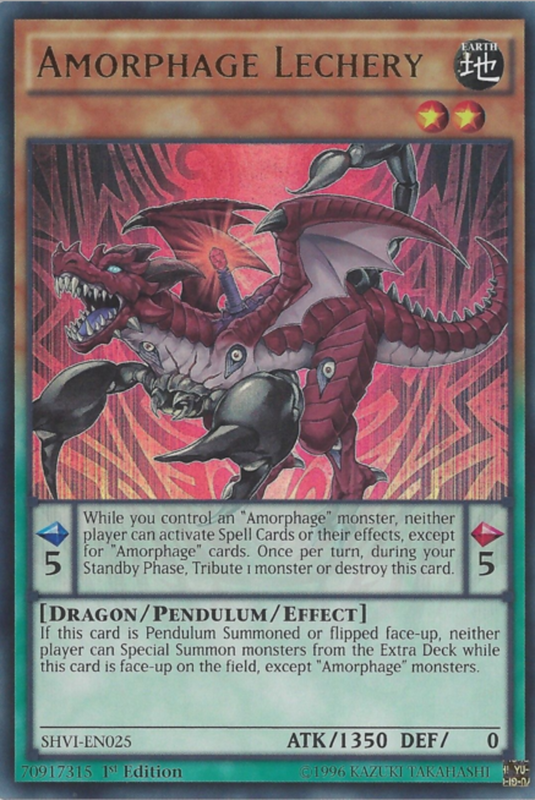 The Amorphage dragons offer incredible lockdown powers for duelists willing to work with their self-destructing traits. Although they demand tributes, we've reviewed heap of powerful support cards that turn these removals to your advantage by replacing your lost units. 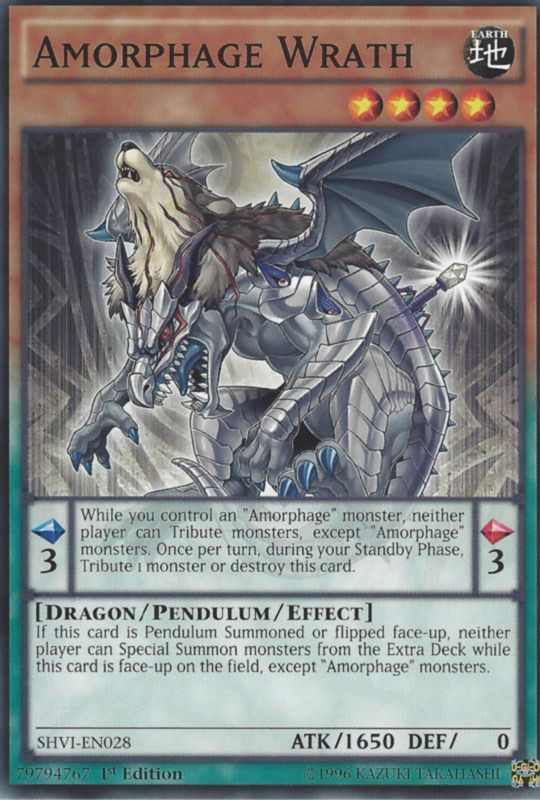 Amorphages also combo well with the Dracoslayer and Dracoverlord series, and you can substitute in monsters like "Supreme Gate Infinity" for your higher pendulum scale to make Goliath and Sloth summons easier. Whichever route you opt for, be careful not to negate your units; depending on which Amorphages you employ, you'll be potentially shutting down all non-Amorphage tributing, effects, spells, and traps, so adjust your deck list accordingly. 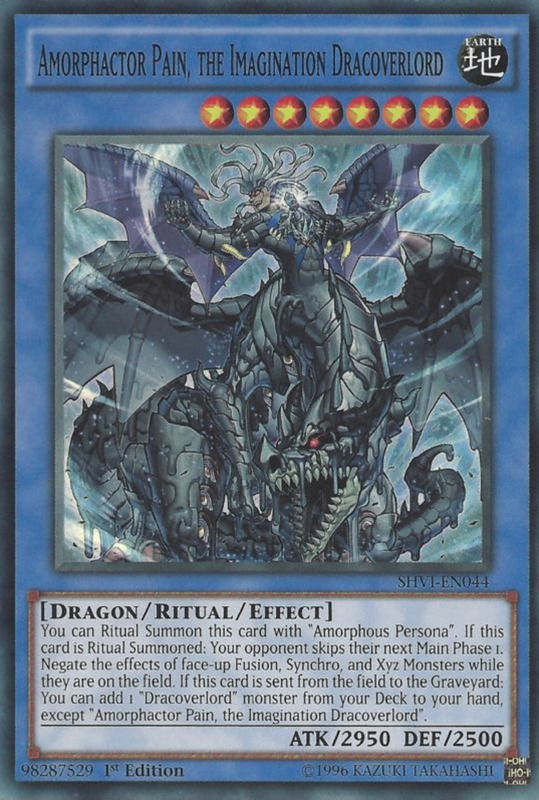 But for now, as we eagerly await Konami's next expansion of earth dragon support, vote for your favorite card and I'll see you at our next Yu-Gi-Oh countdown!